Dr. Dearl Duncan was born in Louisville, Kentucky and grew up in Lakeland, Florida. 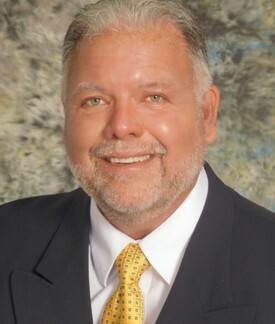 He graduated from Lakeland Senior High School in 1970, and Florida Southern College in 1974 where he received a BS degree in Biology and Chemistry. While in High School he worked at the original Red Lobster restaurant and put myself through college running an early morning paper route ( Tampa Tribune ). After graduation from college he worked for 1 year for the Polk County Health Department in Winter Haven, Florida for their water quality division . He then went to Auburn University where he worked on his Masters degree in Microbiology. In September of 1976 he was accepted in Dental school at Emory University in Atlanta, Georgia. While attending Emory he was elected as class president for all 4 years. He graduated in top 10%of his class, and he was the top clinical graduate of his class. He was elected by the faculty as Who's Who in American Colleges and Universities and received this honor at graduation. Immediately after graduation In June of 1980 he took the Georgia Dental Boards passing them with the highest score at the time given. A few weeks later he took and passed the Florida Dental Boards given at the University of Florida. In August of 1980 he started his own practice in Bradenton, Florida. He practiced dentistry in Bradenton for 32 years before he sold his practice. During this time he was chosen as Bradenton's Best Dentist and chosen by his peers as one of the top Dentists in the area multiple times. He also served as President of the Manatee County Dental society. After the sale of my practice he was an adjunct professor for a year at Lecom Dental School in Bradenton, Florida and worked for a Dentist in Tampa, Florida running his clinic while he went through some medical procedures. The next 2 years he worked for 2 different dentists in Sarasota and Wauchula, Florida. In the fall of 2015 he applied for and was awarded a Virginia Dental license in preparation for a move to Virginia Beach in the fall of 2016. He is a long term member of the American Dental Association, Florida Dental Association, West Coast Dental Association, Manatee County Dental Association,and the Academy of General Dentistry where he was awarded Fellowship status several years ago( FAGD ). He has also joined the Virginia Dental Association recently since moving to Virginia Beach, Virginia. Dr. Duncan enjoys fishing, boating, going to the gym and spending time with his family in his spare time.